Giorgio Bassi (born 1934) entered a single race in his F1 career, the 1965 Italian GP, driving a BRM. He qualified 22nd and only lasted eight laps before his engine blew. Norberto Fontana (born 1975) started four races for Sauber in 1997 as a replacement for the injured Gianni Morbidelli, achieving a best finish of ninth. However, his career is most famous - or infamous - for an incident during the season finale at Jerez. 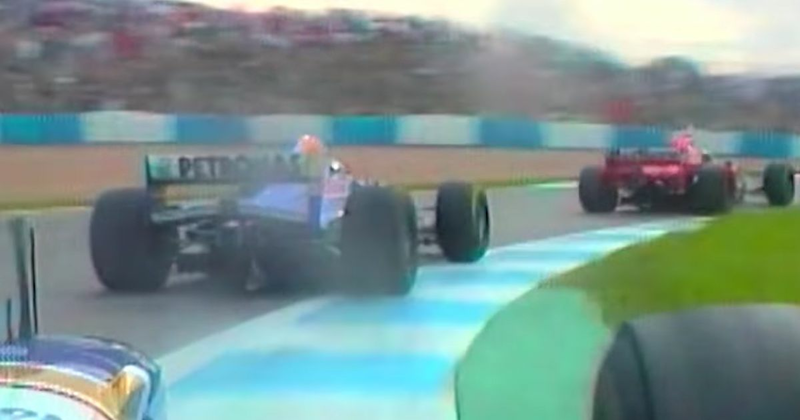 After allowing Michael Schumacher to lap him easily, he proceeded to badly hold up Schumacher’s title rival, Jacques Villeneuve, costing him a significant amount of time. Martin Brundle mentioned in commentary at the time that the Sauber was running a Ferrari engine, suggesting that it was no coincidence. Years later, Fontana claimed that ahead of the race, Ferrari boss Jean Todt had visited the Sauber garage and told him to hold up Villeneuve whenever possible. It was one of a few stories of collusion between teams from a race which, given everything that happened, wasn’t one of the finest moments in the sport’s history. Jolyon Palmer (born 1991) won the 2014 GP2 championship and after a season testing for Lotus was promoted to the race team when it became Renault in 2016, scoring just one point in a difficult year. He stayed on with the team for 2017 but was comprehensively outperformed by Nico Hulkenberg. Always alert on a street circuit, Palmer achieved a career-best finish at Singapore when he ended up sixth, only to be dropped in favour of Carlos Sainz two races later.